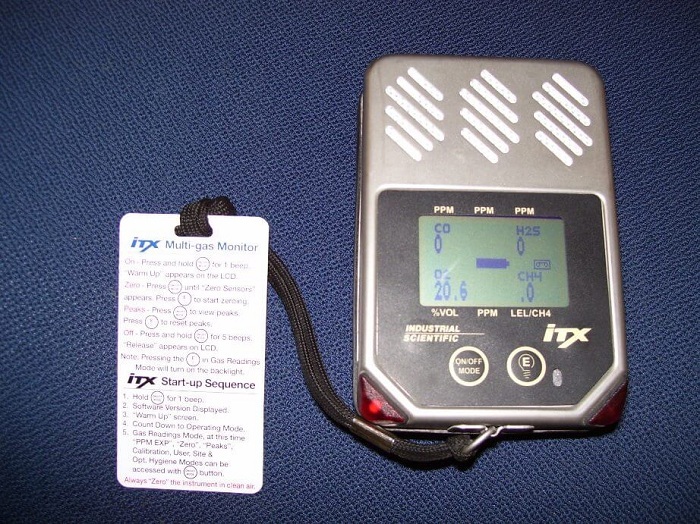 If you think you need a Freon leak detector, then you definitely need one since Freon leaks are a serious matter. Prolonged exposure to Freon can lead to fluid buildup in our lungs, lung failure, heart issues, brain damage, and even death. If your HVAC unit is placed outside and you think you are safe from all these risks, think again since it can easily enter your home. Before jumping into the whole refrigerant leak detection equipment discussion, we want to mention that “Freon detection” generally refers to identifying all types of refrigerants. You can easily create liquid Freon leak detectors at home, by mixing soap or laundry detergent with water. Apply the resulting substance on piping and wait for bubbles to appear – this means you localized the leak and can proceed to seal it tight. This method is widely used by amateurs and professionals both. However, you can also purchase liquid Freon leak detectors that are ready-made. Easy to make and use. Not suitable for inaccessible spaces. Not as accurate as other methods. The ready-made ones have little to no advantages over homemade ones. Note: Soapy solutions are best used together with other detection methods. If you already tried it and don’t consider the old soapy water a reliable Freon leak detection method, you have a few other options available. These are manufactured and designed specifically for this purpose, thus being reliable and precise. These devices use infrared sensors to detect any refrigerant leaks in your home. They smartly use refrigerants’ different reflectivity to infrared radiation to give accurate results in real time. An infrared Freon leak detection device has an accuracy of +/- 1.8°F for temperatures between 32 and 212 degrees Fahrenheit. Can detect R404A, R407C, R410A, R134A, R417A, R422A, R507A, R143A, R125, and R245fa refrigerants. Highly accurate if used within their maximum efficiency temperature range. No risk of false positives due to moisture, oil, or gas leaks. Can be used within a minute from starting the device. Naturally, it cannot be used to detect leaks from areas that are not visible. For environments colder than 32 and hotter than 212 degrees Fahrenheit, their accuracy drops. They are almost useless in environments colder than -4 or hotter than 932 degrees Fahrenheit. There are 2 main types of electronic Freon leak detectors available: Negative corona and heated diode devices. Negative corona Freon leak detectors create a high voltage electric arc that is sensitive to refrigerants. When the electric corona detects Freon leaks, the device rings an alarm to let you know. Heated diode Freon leak detectors use heat to break refrigerant molecules apart into Fluorine and Chlorine ions, which can be detected by heated diodes. These devices have been around for a few decades and impressed professionals from the start with their accuracy and newer models are much more precise. Can detect leaks in inaccessible areas. They are more and more precise as technology advances. Negative corona electronic Freon leak detectors can malfunction in areas with high concentrations of refrigerant. This has been a problem ever since the beginning and, although significant progress has been made, it can still affect their functioning today. False alarms are also likely when other chemicals are present in the air with both types of electronic detectors. They have a fairly short range. Many professionals choose light-responsive dyes instead of soapy solutions to detect Freon leaks. These can be injected into the refrigeration system and is carried by the refrigerant through piping. Then, you can use a UV light to see where the dye leaked out of the system. This method is considered the best Freon leak detector at the moment. They are not affected by other chemicals. They pose no health threats. They cannot be used for larger industrial systems or car ACs since visibility is a must. Depending on the size of your system and the diameter of the puncture, it can take up to a few hours or even days to see results. Halide torches can be used to detect Freon leaks. Chlorine-based refrigerants will change the flame’s color from blue to green. They use a probe hose to draw in air, which is then exposed to a copper reactor plate that has been previously heated. This method shows instant results. Halide torches make it easier to accurately locate leaks. It can only detect CFCs (chlorofluorocarbon-based refrigerants) and HCFCs (hydrochlorofluorocarbon-based ones). It uses an open flame, which can be dangerous in some environments. Many things can interfere with their accuracy: Wind can make it impossible for the device to collect the gas, thus leading to false negatives. In addition, direct sunlight can make changes in the flame’s color hard to observe. Ultrasonic leak detectors are high precision systems that detect seal failures and pipe punctures in compressed air and gas systems. An ultrasonic leak detection device identifies the high-frequency noise refrigerants produce when leaking. They can accurately detect leaks up to 65 feet away and make it easy to identify the source thanks to an integrated point sight. In addition, they can use a laser pointer to accurately detect leaks in areas with restricted access. Many have a transparent reflector, which offers precision without obstructing visibility. Equipped with a highly-sensitive detection sensor. Extremely precise in localizing the Freon leak thanks to visual stimuli. Their accuracy is not satisfactory when used in noisy environments. Although many have features that prevent background noise from interfering with the results, it still affects the final result. Note: Ultrasonic refrigerant leak detectors can be used together with a soapy solution to increase their precision. The sound of bubbles bursting will be easier to detect by these devices. If none of these methods identified a Freon leak, you seem to be safe. However, if you still suspect something might be wrong with your appliance’s refrigerant piping, you can perform a pressure test. For this, you will need a tank of pressurized dry nitrogen. It should go without saying the gas should be oxygen-free, but we want to highlight this aspect anyway. If you use a soapy solution, a 10-bar nitrogen flow should be enough to make the liquid bubble up. Never stop investigating after finding a leak. Check the whole system, since leaks and punctures are most often caused by wear. Choose high-quality piping and joints. These are less likely to wear out and will last longer. Cap all valves. Uncapped ones are the most common source of refrigerant leakage. Never place appliances that use refrigerant in unstable areas. Vibrations, physical shock, or chafing will deteriorate the piping which will, in time, start to leak. Never ignore maintenance or try to reduce costs by choosing cheap repair services. You might get lucky by avoiding maintenance and professional repair services, but not for long. The refrigerants your appliances use should be the most important factor. You don’t want to end up with a device that only detects CFCs and HCFCs when your fridge has HFC. The device’s placement should be the next aspect you think about. The main unit should be placed in a highly visible spot in your home – like the hallway. At least one sensor should be right next to the appliances that use refrigerant. Keep in mind that air conditioners or heat pumps with fans will direct the air in a certain direction. Please don’t try to install these devices by yourself unless you are a specialized technician. Your family’s health and lives are at stake, so cutting corners should not be an option. I didn’t realize that freon leak detectors were cheap and easy to use! I imagine they would be incredibly handy, especially for someone working in a job that required frequently being around freon-containing devices. I would still prefer to use a contractor if I had any major problems, but it would be nice to get a feel for the situation before calling someone.